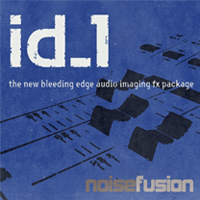 ID_1 is the bleeding edge imaging effects package designed for rock, alternative and CHR radio. It seeths with grit, punch and energy and sounds like nothing else. Precision-constructed highly warped FX, ear-splintering impacts, dangerously distorted guitars and severely twisted music beds combine to create a package that will redefine your station sound. A total of 175 huge cuts. ID_1 has been used and abused by radio stations across the world, including XFM in the UK, CFOX in Vancouver, X92.9 in Calgary, The Edge in New Zealand, KINK FM in the Netherlands, Phantom FM in Ireland, Oui FM in Paris, Radio 1 in Dubai and many more. ID_1 is now available to purchase as a buyout and download in full quality WAV. Just get in touch with us with your details we'll get straight back to you with a price tailored to your station and usage. It sounds awesome... ID_1 is one of the best sonic tools I've ever worked with. It rocks! I'm really impressed by the quality of each track - nice work... every track is perfect.